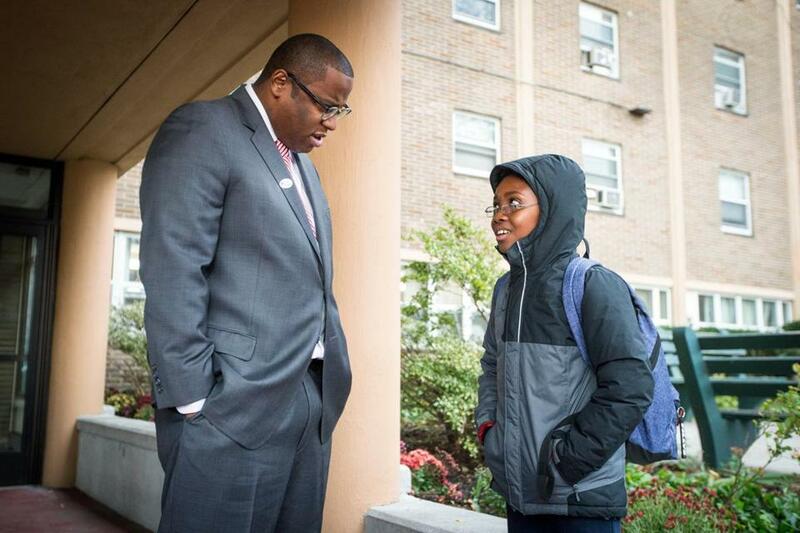 Then-mayoral candidate Tito Jackson (left) speaks with Jaheem Lawson 10, after voting at Holgate Apartments in Boston in the November 2017 city elections. Since Tito Jackson ran for mayor last year, speculation has run wild in Boston’s political circles about what the former city councilor would do next. Would he leave town, work at City Hall, or run for another office? On Wednesday, the former Grove Hall councilor put some of that guesswork to rest. He has landed in social justice advocacy, according to Parenting Journey, a Somerville nonprofit whose mission is to end the systemic cycle of parenting in poverty. “Tito is a champion for the families of Boston and has demonstrated a commitment to social justice, communities of color, and empowering people to be their own champions,’’ Jeffries said. Jackson called the appointment “a tremendous honor” and said it dovetails with the issues he focused on during his six years on the council. Jackson ran unsuccessfully against Mayor Martin J. Walsh in the 2017 mayoral contest. As a councilor, he chaired the Committee on Education and the Special Committee on the Status of Black and Latino Men and Boys. He was vice chair of the council’s Committee on Healthy Women, Families and Communities. Prior to his elected role, he led former governor Deval Patrick’s reelection campaign and worked in pharmaceutical sales.